Happy Spring to you! Spring is not just a time of warmer weather and blooms, but it is a universal time of rebirth. It is our chance to clean out the old and rebirth new goals and new selves. Over the winter, it was a time of slumber, going inward and resting so that we would have sufficient energy for the spring rebirth. Spring cleaning is an annual ritual for many households. When you toss out the old, it makes room for the new. It may seem ominous to tackle your entire house or office in a day or even a weekend; so instead, break it up by room or even by closet and finish one each day. Donate as many items as you can and get organized. When you’re finished and can look back on what you accomplished, less clutter will create a more relaxed and airy home environment. So while you are cleaning out those closets and organizing your physical surroundings, also clean out your body! Consider a one-day, one-week or even one-month program to cleanse your body and help it refresh. Of course, check with your doctor before starting any cleansing plan and find one that is right for you. I am currently on day 4 of a 5-day fasting cleanse from Blessed Herbs and I feel great! We typically eat heavier foods in the winter to help us stay warm and cleansing out that heaviness will help us adjust to spring foods. When you cleanse your body of what you no longer need, you feel lighter and can make room for what you want (i.e., vitality, energy, more play time, etc.). Take up yoga, meditation, walking or other awakening activities that will wake up your body from the winter slumber. Lighten up on your foods. When you eat according to the seasons, winter is a time for heavy foods, such as root vegetables. In the spring, eat lighter. More greens, vegetables and fruits. Eating lighter helps your body to adjust to the natural rhythms of the changing seasons and you adapt quicker. Have your 2012 Intentions gone by the wayside? Now is the time to rebirth some short-term Spring goals. Setting any of the above items as Spring goals would be an amazing start to kicking off Spring. But consider what else you would like to accomplish or encounter during the Spring? Make a list of goals in the areas of family, relationships, finances, work, health, and you-time. Then place those goals in a prominent area for you to see throughout the day as a reminder that you are rebirthing a new you! If you’re interested in reading more on this topic, I highly recommend a book by Sara Avant Stover called “The Way of the Happy Woman” which encourages and outlines living according to the four seasons. 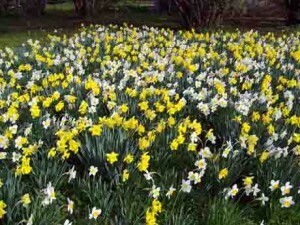 There are many ways that you can enjoy the start of Spring and set your rhythm to the rebirthing process for 2012. Just choose a few ideas that resonate with you and do not overwhelm yourself with too much change. 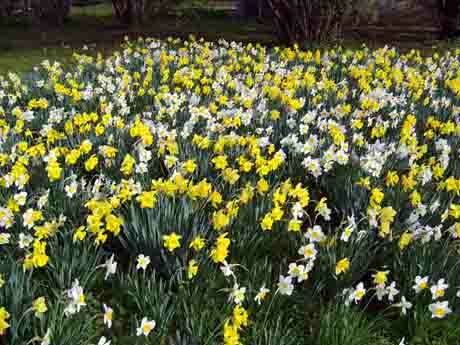 You will quickly notice a difference and be able to embrace Spring and all of it’s glory.